Ishq Subhan Allah written episode 26th November 2018 Zara and Kabir both were arguing over funds for the new syllabus for girls studying under Sharia board. 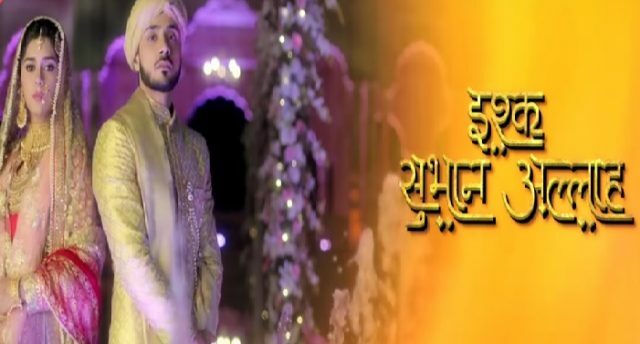 As we all know that the serial Ishq Subhan Allah is one of the famous Tv serials. The show Ishq Subhan Allah gave high volt drama to their viewers. The serial Ishq Subhan Allah show the love of Zara and Kabir. Today’s episode begins with Ruksaar reach with the plea to share with friends. She asks Zara to share her husband with her. Kabir gets irritated. He shouts at Ruksaar and gets very angry. Zara asks what he is doing, she is the child. He shouts at Zara too. Zara explains to Ruksaar that sharing is done with things only not with humans. To know all this Ruksaar apologizes to Kabir. He and Zara soon patch up. Zara agrees to watch the cartoons with Ruksaar and Amaan. They stop her from leaving and ask her to play the games with them. Zara manages to free herself from the two and reaches her room. Kabir is very angry with Zara for not accompanying him at dinner while going to bed. Kabir and Zara get into another argument over her delay. Zara tries to appease angry Kabir again. She gets romantic with Kabir and he too gets into the mood. Next day at the office, both Kabir and Zara have a cute moment that is to sharing of lunch. Kabir leaves for some work. Karim Saab comes and scolds to Zara that her cheque had bounced. He had cancelled her contract that Kabir had not transferred any amount into the girls’ fund account. On next day, at Sharia board, Pir Sahab is in the chair as all members have gathered. Qazi Sahab too is there. Kabir and Zara both are asked to present their points before they arrive at a decision. Upcoming Episode Of Ishq Subhan Allah: Zara asks Kabir that of Madrasas were so good why only Kabir was sent there why not Kashan and Alina? Why were they educated at English medium schools and why was Amaan going to English medium school now?